Take part in all things Irish during this two-day extravaganza celebrating not only the holiday, but also local fire, police and EMS services. The festival includes traditional Irish dancing performances, pipe and drum bands and plenty of delicious food and drink stands! Show off your St. Patrick’s day spirit by dressing in all green, and be sure not to miss the bagpipe performance after the parade. All additional funds from the parade are donated to local not-for-profit groups, so you can feel good about taking part in this local tradition. Look no further than the Palm Beach International Boat Show for a fun nautical experience. Hundreds of boats, from fishing boats and personal watercraft all the way to 150 foot-long super yachts, will be presented at this four-day event. One of the top five boat shows in the country, this event draws crowds of thousands of boat enthusiasts to explore the tents of accessories, seminars, live music and even free kids’ fishing clinics. Take advantage of the free bus shuttle, or even arrive by water and use one of the free come-by-boat docks. Entrances located at Evernia St. and Flagler Dr., as well as North Clematis St. and Flagler Dr.
From jewelry to photography to ornate sculptures, you’re sure to find a piece you love at the 7th Annual CityPlace Art Fair. Local and national artists line the streets to showcase their works in this open air gallery full of inspiration and creativity. Located in the scenic downtown shopping district of West Palm Beach, you can come enjoy this free-admission event as well as everything the area has to offer, including multiple high-end restaurants, a local theatre, cafés and picturesque fountains. The Hatsume Fair is a Japanese festival celebrating the beginning of spring. Three stages feature taiko drumming, martial arts demonstrations, samurai sword fighting performances and the annual costume and fashion show contest. A plethora of artisan booths, plant sales and Japanese street fair food vendors make you feel as though you’ve been transported straight to Japan. Japanese craft activities, games and anime vendors make this cultural festival one for the whole family to explore. One of the largest arts and crafts festivals in the Southeast United States, the Delray Affair is jam packed with a mixture of great arts, fine crafts and funky products from all over the world. Up to 600 vendors will be spread across 12 city blocks showcasing their wares for you to enjoy, complete with plenty of great food. At the Family Fun Zone, children and adults alike can play 30 different classic arcade games, get their faces painted or try to dunk local dignitaries to raise money for education. 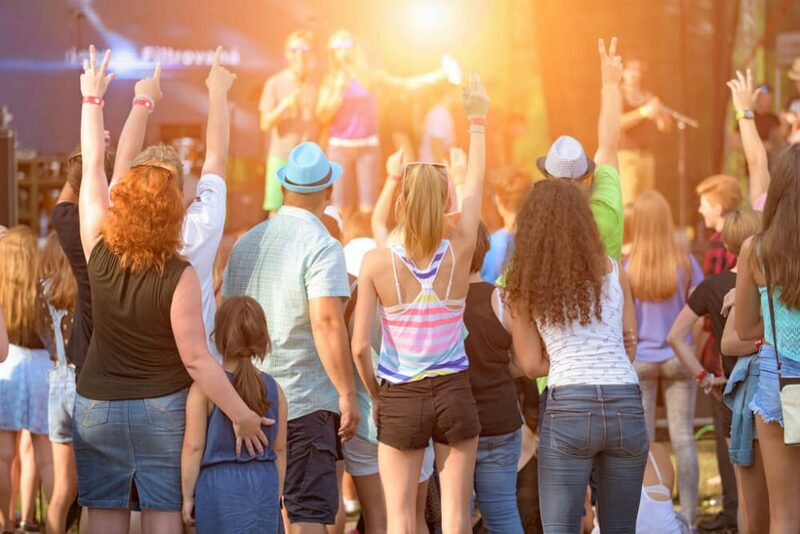 Featuring 50 different bands performing live over the course of the festival, SunFest has much more going on than just music. The Art District is an innovative art show complete with live artist demonstrations, interactive installments and more than 60 artists. The TGI5K is a 3.1 mile run that ends at the heart of the festivities, where a multitude of family activities take place over the course of the event. Foodies will love the Pairings Food and Wine event and the floating bars. Cheer for your favorite at the Battle of the Bands, and then end the weekend with a spectacular fireworks show. This festival is the largest monthly show in Florida, taking place in the same location for the past 20 years. A local tradition, this festival is the place to go for everything antique and vintage. Find your very own treasure while exploring the vast collection of jewelry, porcelain, china, toys, furniture, art, silver, garden accessories and so much more. What’s more is the fair also features unique services like on-site jewelry repair and silver re-plating, so you can easily keep your family heirlooms in perfect condition. Interested in learning more about all of the fun activities near Arden? Stay up to date by signing up for our Founders Club.